This is an exciting time to be an L.A. sports fan. As most Angelenos know, the city has three professional sports teams in the playoffs at the moment. The NBA franchises Los Angeles Lakers and Los Angeles Clippers are both leading their first-round playoff series, while the L.A. Kings have reached NHL’s Western Conference Finals. Making matters even more exciting is the fact that each team has a legitimate shot at winning it all. The Lakers have been considered a dark horse favorite with their version of the Twin Towers in Pau Gasol and Andrew Bynum supporting the league’s best player, Kobe Bryant. The Clippers are young and exciting, and with newly-acquired veteran point guard Chris Paul (widely considered to be the best pure point guard in the NBA) their roster has done well together despite a slew of injuries. The L.A. Kings, meanwhile, have simply dominated their opposition thanks in large part to their goaltender Jonathan Quick. One thing uniting the three franchises, besides being based in L.A., is the fact that they all share the same venue – the magnificent STAPLES Center. 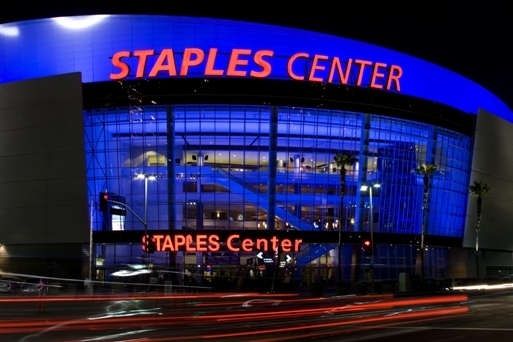 If you are looking to celebrate your team’s success in style, treat yourself and your friends with limousine service to STAPLES Center. Get a quote now.